The end of the road – not metaphorically speaking, but for real! What a way to tiki tour. South-east of Waipukurau there is a road to Porangahau. Turn right onto Cooks Tooth Road and follow the yellow brick road (or the light brown gravel road, as the case may be). I had to take photos of a farmer out there this morning with a QEII block that has seen great rejuvenation and growth in bird life since possum control was introduced. Instead of a dozen possums dancing on his roof every night, he’s lucky to see one at all now. My new header on the top of the blog was taken out there this morning and I have yet to download and play with the closer ones I took of the two Angus bulls with the sheep in the foreground and the coast behind. And I liked this one – there were three of these signs as you drive from the top of the ridge to the beach, which you can see down in the background. And I’ll throw in one of the beach at the bottom too. Can’t show you the photo of the farmer – you’ll have to wait til the next issue of the Hawke’s Bay Regional Council’s Spotlight newsletter is out! I also took a picture from the beach road looking back to where I had just been. The QEII block is in the centre of the photo just down from the horizon. This country must be so inhospitable in the winter! But there was nothing inhospitable about the muffins and coffee I received this morning, in brilliant sunshine and only a gentle breeze! And as always, the conversation also included the southern rolling r, the Scottish Highlands, how I played netball with their new daughter in law (small world) and golf. 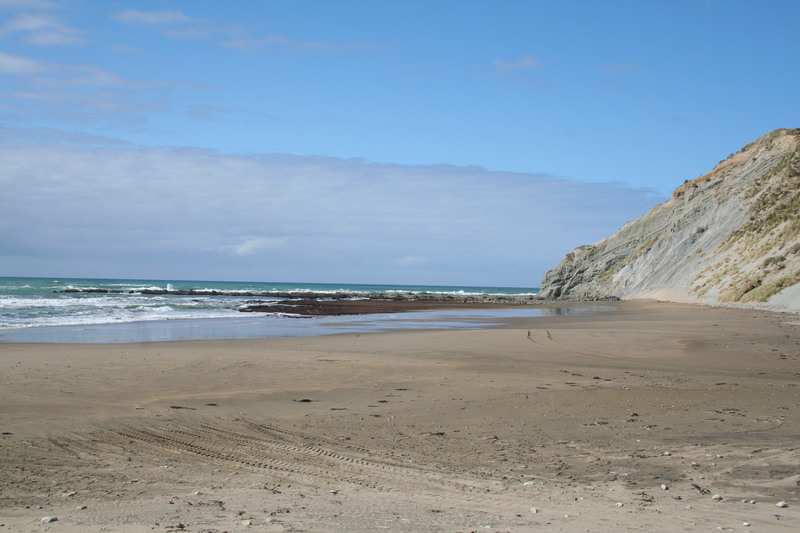 Once I had left their place and gone down to the beach, my imagination went into overdrive about renting a little bach with an ocean view and being lulled by a glass of chilled sav blanc (I mean rolling waves). Everyone should try to get off the beaten track like this. I had a reason to go to the end of the road (actually turning off into Ireland Rd to the farm, but double backed afterwards to go down to the beach). Next time you drive somewhere and have time up your sleeve (yeah like when does that happen, really?) turn off the main drag onto a road you’ve never been down before. Take a turnoff even though you have no idea where it goes! Go tiki touring. Take the long way. Take the scenic route. Stop for ice cream. If the sign says lookout – go and look out! This can be dangerous. 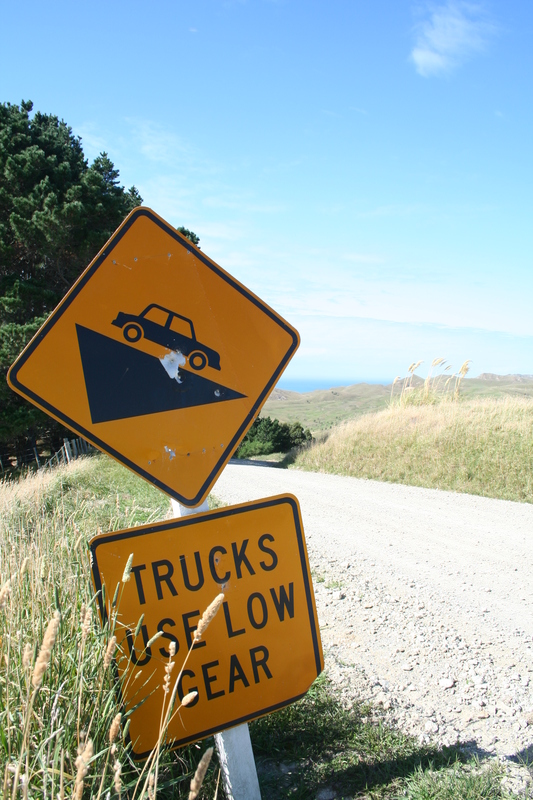 The kids and I turned down a road once on the Napier-Wairoa Road called Seaview Rd or something similar. This scary little cliff-side road, complete with washout, went around the end of a hill and stopped at the sea. Literally. A shingle pit some would call a beach. Literally. A 300-point turn (literally) got us pointing back up to the highway as there was no way I was reversing back up the single lane! 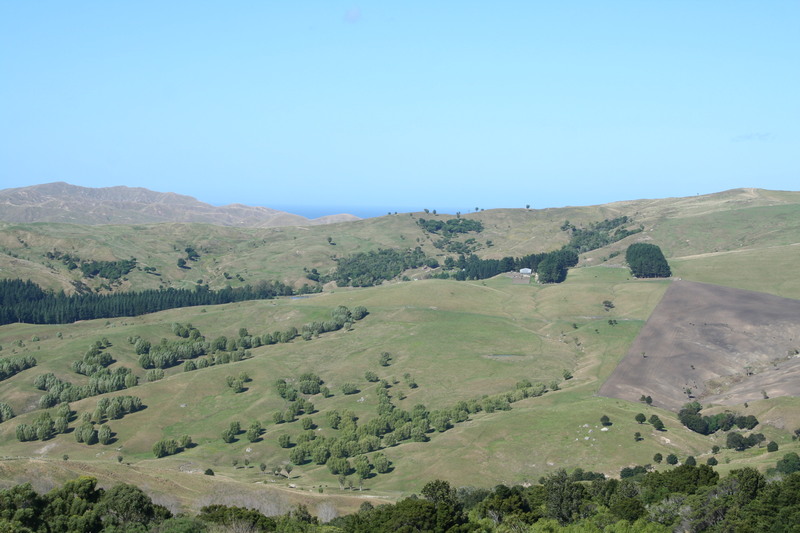 Like the road to Whangaehu, this road dropped south of Waipukurau but stayed further inland past a little settlement called Flemington. The story was a property one – a feature on a church converted into a farmstay. Very cool – but you’ll have to wait for the story to come out in the DomPost to see those photos. Here’s a teaser…. the church is just to left of the photo. 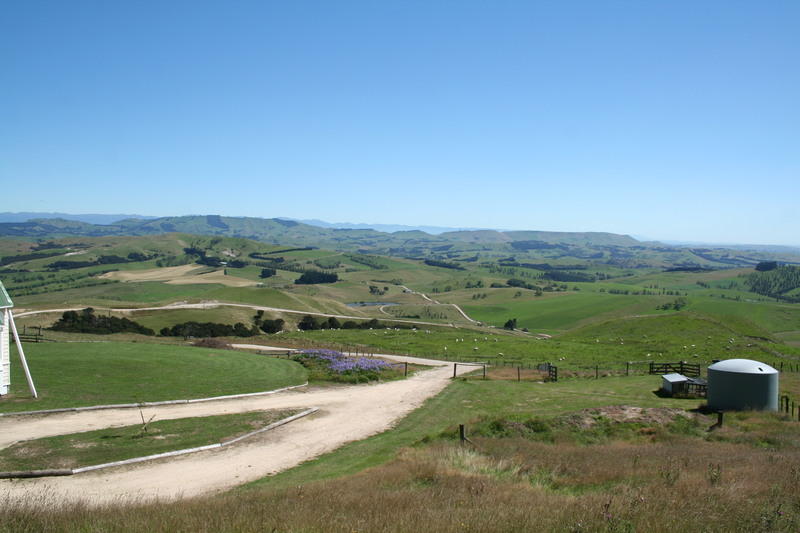 but oh, what a view over Central Hawke’s Bay! « Not news at all! Hi RKT you encapsulate what a sizable number of us who spend days in our mobile homes enjoy. Stopping at a beautiful place anywhere in our great land and then exploring places such as you describe here. I love your hi-lighting the QE2 reserve angle as that was exactly our experience when we farmed in ‘Bideford’ last century. 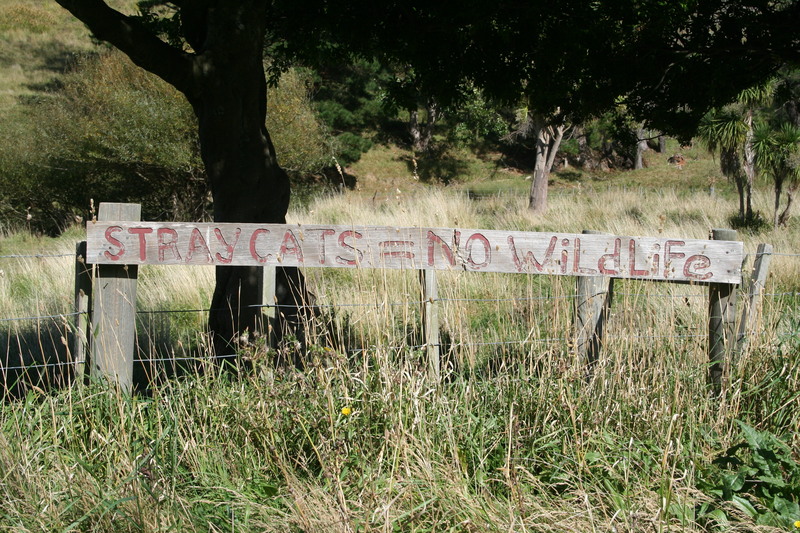 However I have got into some rather unseemly arguments with the anti 1080 brigade when I try to explain the massive rejuvenation of bush and native bird life following successful eradication work which IMHO for the time being can only be done affordably with 1080.